A sober reminder that all is not laughs and antics in the clown world. 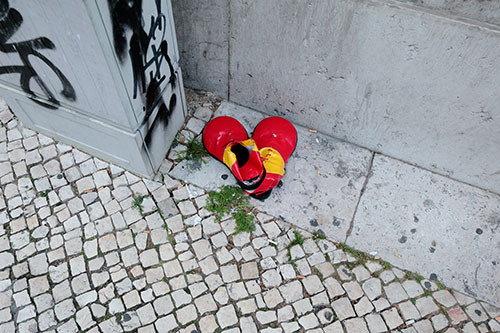 The shoes were on a side-walk in Lisbon. The clown? Unknown.